Many online retail sites use personalization features that are bundled with their ecommerce platforms or are enabled by integrating with a third-party vendor. 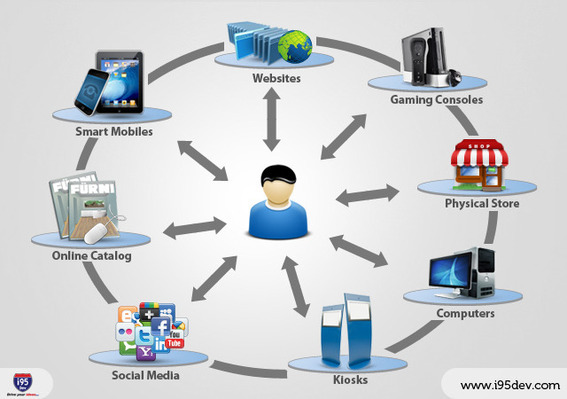 These features often do the basic segmentation and targeting but do not incorporate data from all consumer interactions, such as web analytics, social feeds, customer emails, call center detail records, customer location information, purchase history, product reviews, and the search terms used by the shopper. By using the data from all of these interactions, businesses tap into many channels, leading to “omni-channel” personalization, which can be highly effective in creating trust and lowering abandonment rates. This article will address omni-channel personalization for ecommerce businesses. Omni-channel personalization lets you personalize the customer experience across multiple channels. The following three keys are critical to make omni-channel personalization a success. Use all customer interactions. This includes not only interactions related to the shopping process but also external interactions, like clicking on a link in an email campaign, or contributing a product review. Personalization should be dynamic or real-time. The personalization engine should accommodate changes to existing customers’ behavior by adjusting the experience on the fly. It should also learn more as the data set grows. It should allow manual tweaking of rules to update the recommendations for a customer or a segment. Personalization is ongoing. The personalization rules and recommendations should be reviewed periodically with the growth of your business and the change in behavior or intent of your shoppers. Trigger events for this review could be the launch of a new product or expansion into a new market. The benefits to your ecommerce business from omni-channel personalization include the following. Increased customer loyalty; greater revenue. If your business can establish trust through personalization, customers will feel valued and generate more revenue. As an example, a customer who researches jewelry items on your site and then Likes pictures of your jewelry posted on Facebook can be sent communication of a new promotion related to jewelry — increasing the chances of a sale. Lowered cart abandonment rates. Shoppers are less likely to abandon their carts as the shopping experience improves and they see and receive what they want. If the cart abandonment rate stays the same or increases, then omni-channel personalization is not working for your business. Predictive personalization. After you have enabled omni-channel personalization for a few months, you will create a sizable data set to identify trends and predict future behavior of your shoppers. This can be used to implement “predictive personalization” to anticipate what your shoppers want to buy. This helps businesses better manage their inventory and further improve customer service. A good example of predictive personalization is a recently launched startup called Stitch Fix. It relies on algorithms to select the clothes its customers would like and ships those items to them. The customers do not select the clothes. If the customers do not like what they receive, they can return them without any charge, as Stitch Fix offers free shipping both ways. To implement a successful omni-channel personalization function, consider the following steps. Identify vendors and partners. You will likely need vendors or partners to help process Big Data from different sources. Engage vendors or partners that have implemented omni-channel personalization previously. Evaluate vendors in this space based on your objectives and your existing environment. Possible candidates include: Barilliance, Baynote, CrownPeak, GraphDive, Inkiru, Pleisty, Retention Science, RichRelevance, and QuBit. Set periodic checkpoints. Periodic checkpoints are extremely important for a successful implementation. As a retailer you need to check for accuracy of personalization rules and personalization performance. You can conduct early tests by acting as the shopper and determining if the system personalizes the experience to your liking. If the rules are not set up correctly, you will lose business. Do not enable dynamic personalization if it slows down your site. Shoppers will not wait for a page to load even if you can offer a compelling personalized experience. Identify the bottleneck and resolve the performance issue. In most cases, it is because of too many rules being executed at the same time, versus prioritizing them. Have a backup plan. Do not shut down your old personalization engine until you have proven that your new omni-channel solution works. The best way to test this is by A/B testing. Enable the new solution for only a select group of customers. If everything looks satisfactory, then roll out the new solution to everyone.